Just because you often have to wear a uniform during work, doesn’t mean you can’t be stylish while also professional. Here is a great standard outfit for women working in healthcare, which you can either use by itself or as an outfit template that you inject more of your own personal style into later on. This is a little different than your average undershirt because it is designed to fit comfortably under scrubs without restricting movement, all while keeping you cool and dry. The performance fabric ensures you’ll stay warm in frigid hospital hallways, and cool when you step out into the sun. Scrubs are, of course, the foundation to most (not all) work wardrobes for those who work in healthcare. If so, it’s probably well past time to throw out your shabby old scrubs and upgrade to a nicer quality set. If you already have invested in a high-quality set of scrubs, good for you! 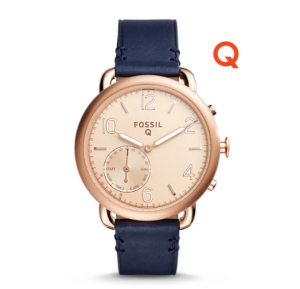 Whether you’re digital or analog, you can make your outfit your own with touches of personal style such as a functional and fashionable wristwatch. This is the most sensible accessory, since it does serve a purpose in addition to looking cute! If you’re on your feet all day at work, save yourself from a world of pain and do some research about what kind of shoes you should be wearing to avoid a myriad of foot and back problems. 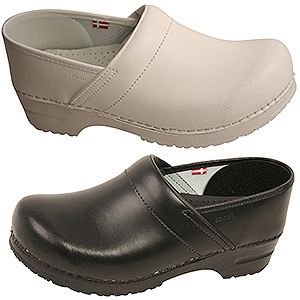 We recommend these clogs from Sanita, which is known for producing super high-quality handmade orthopedic clogs. Finish off your professional outfit with a tailored lab coat. Many brands now offer polished styles designed specifically for a woman’s body, which will ensure that you don’t have a boxy silhouette. Today’s options for women’s lab coats is quite large, with a selection of flattering styles for different body types. This entry was posted in Clogs, Lab Coats, Medical Professionals, Medical Scrubs, Women's Clogs, Women's Lab Coats, Women's Scrubs and tagged Lab Coat Style, Professional Appearance, Scrubs Style on October 20, 2016 by Ariel Jacoby. Doctors, you know that if you’re spending many hours on your feet during the workday, you need to be responsible about your footwear in order to avoid some serious hip, foot, and back problems. The issue is that it can be challenging to find footwear that provides orthopedic arch support but still looks professional enough to meet with patients and colleagues without feeling like you borrowed your grandparent’s shoes. 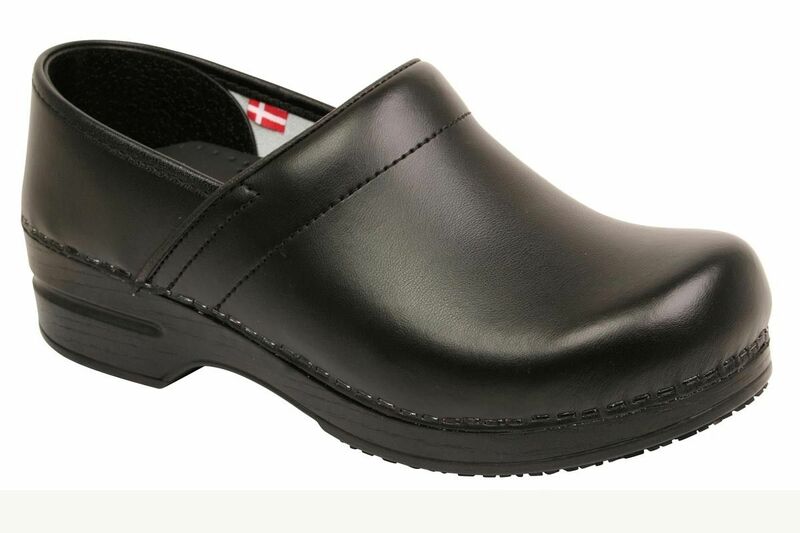 Danish clog company Sanita has been hand-making medical clogs for years that are supremely comfortable, and offer the right kind of arch support so that your lower back isn’t hurting halfway through your workweek. These clogs are also very professional looking and come in many different finishes so that you can choose the color – black and brown leather are popular choices – and the different finishes of the leather, such as patent, suede, or polished. Each of these options are versatile enough that you can wear them every day, both in a clinical setting and after work when you’re running errands. Sanita has really made an art of creating the perfect shoe for medical professionals, whether you’re a physician, resident, nurse, or PA. They are professional and comfortable, and super durable. It takes a little while to get used to the feel of these clogs, but within a day you will find yourself walking with ease and comfort, and after a week the find leather insoles will have already conformed to the exact shape of your foot. These shoes are proof that as a doctor or other medical professional, you don’t need to sacrifice comfort for professional-looking shoes and vise versa. Comfort and professionalism are not mutually exclusive! This entry was posted in Clogs, Physician Clogs, Professional Clogs and tagged Clinician Shoes, Comfortable Shoes, Professional Appearance on August 8, 2016 by Ariel Jacoby. You made a deliberate choice to go to medical school. You made a deliberate choice when you decided on a specialty. Every day, you make deliberate choices about how to treat and diagnose your patients – both medically, and personally. Doesn’t the way you visually present yourself at work deserve the same deliberate consideration? At least five white lab coats. 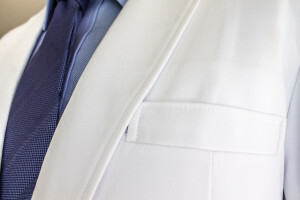 There’s been some debate over whether the white coat is needed in this day and age, but the research is in and it turns out that patients really do prefer when their doctors look professional and wear white lab coats. You’ll want one for every day of the week so that you can wash them easily on the weekends. Check out these styles of men’s designer lab coats. At least five sets (shirt and pants) of nice physician scrubs. If you work in a clinical setting there is a good chance you’ll be wearing them every day, so this is no place to cut corners on your workwear. Opt for scrubs made of high performance fabrics that are comfortable and keep you cool and dry. At least one suit. You probably won’t wear it every day or even every week, but there will definitely be times when you want to look sharp and professional during a business meeting, a presentation, or event. At least one pair of nice leather dress shoes for the same reason as above. Don’t forget dress socks to go with them! At least two pairs of comfortable yet professional shoes. You can either go with an orthopedic dress shoe, or a professional leather physician clog that is specifically made for medical professionals who stand on their feet for many hours a day. 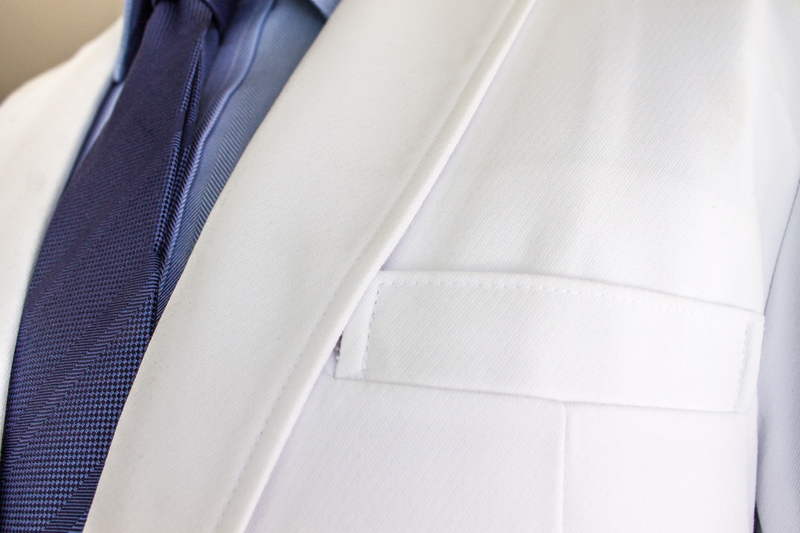 At least ten high-quality button down shirts to go with your suit, or just to wear under your white lab coats. You’ll want at least ten nice yet versatile ties to go with them. At least ten absorbent male undershirts. You probably don’t need me to tell you that physicians sweat, a lot. Having an undershirt extends the life of your other shirts and keeps you comfortable throughout the day. At least five dress slacks to wear with your button down shirts for days when you want to look professional yet casual. Professional lab coat, dress shirt, and tie. This entry was posted in Medical Professionals, Men's Clogs, Men's Lab Coats, Men's Scrubs, Modern Fashion, Trends In Medical Apparel on August 4, 2016 by Ariel Jacoby. Let me preface this by saying, I’m not a doctor or a nurse. I don’t claim to know what it’s like to work under such conditions, but having spoken to many medical professionals from multiple specialties, it does become clear that doctors, nurses, and PAs spend a lot of time on their feet. I can relate to this in the sense that my feet start to hurt after just walking around a museum for a few hours without arch support. It’s not just my feet: my lower back starts to feel the pain as well. And I can say with certainty that a leisurely stroll around an art museum in no way compares to the amount of foot stress that these medical heroes go through every single day. The arches of your feet bear 200,000 to 300,000 lbs. of stress for every mile that you walk. If you have low arches, you have a tendency to overpronate, which is when the foot rotates too far inward with each step. If you have high arches, you are more likely to underpronate, which happens when the foot rolls too far outward. Arch support is necessary for both high and low arches, and every arch in between. Arch supports can provide balance and support for individuals who use them, which lessens foot and lower back pain, and can even improve posture! For all these reasons, make it a priority to find shoes that are comfortable and provide the proper support. I recommend Sanita clogs because they are well-known for their quality, but you can also purchase arch support inserts if you don’t want to buy a completely new shoe. This entry was posted in Clogs and tagged Clogs on June 29, 2016 by Ariel Jacoby. On a scale of 1-10 how physically demanding would you say your job is? Research has shown that for certain specialties, medical professionals spend hours and hours on their feet. Any expert can tell you that it’s good to avoid being sedentary for too long during the workday and that’s true – as long as you have the right shoes that are up to the task of supporting your poor feet all day. There are shoes that are made specifically for wearers who stand all day during their job. These are shoes with a purpose, shoes that have the right kinds of features that make standing on your feet for hours and hours easy without having the knee and joint pain that you would typically have. Sanita clogs offer support and help reduce the long term effects of being on your feet all day. They are also designed for you to avoid other common foot issues, like blisters muscle stress, and swelling. They are handmade and the quality can’t be beat. 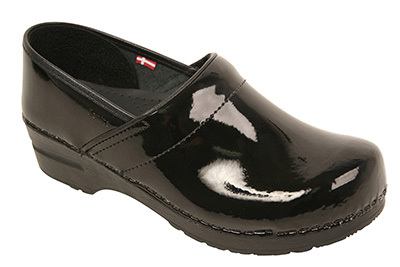 Having tried on many pairs of shoes in my shopaholic life, I can safely say that Sanita clogs are the go-to choice for clinicians, nurses, or really anyone who is on their feet all day. This entry was posted in Clogs and tagged Clinician Shoes, nursing shoes on May 13, 2016 by Ariel Jacoby. Many healthcare practitioners are on their feet for upwards of two to three thousand hours a year – making comfortable, orthopedic footwear absolutely essential to prevent the foot and back pain that inevitably accompanies these physically taxing work days. 1. Sanita clogs are all handmade. The Sanita brand found its roots in 1907, when Christian Meldgaard Andersen created the first pair of hand carved wooden clogs. Over 100 years later, every clog Sanita produces is still handcrafted in Europe with the same tradition of craftsmanship and caring that marked the company’s inception. 2. Sanita clogs are anatomically correct and mold to the shape of your step. They allow you to step through your day with ease and supreme comfort thanks to an inclined forefoot section and arch-supporting orthopedic innersole. Adjustable heel cups offer pressure relief and the sturdy design provides ankle stability in a fast-paced, on-your-feet-all-day work environment. 3. Sanita clogs have been awarded the “Seal of Acceptance” by the APMA (American Podiatric Medical Association) for their supreme quality and comfort. The thick soles shift your weight in a rocking, orthopedic motion to reduce the stress on your feet while interior leather enhances breathability. 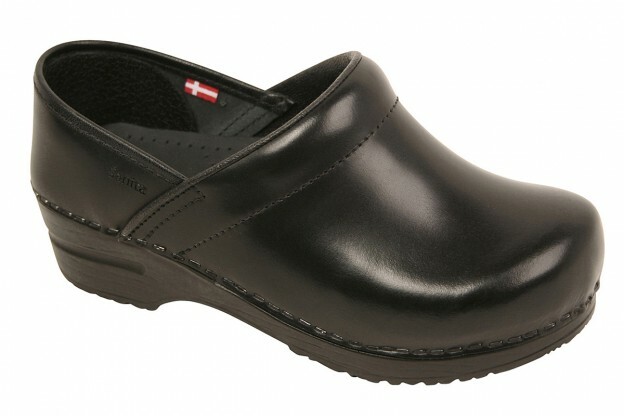 For medical professionals who stand for long long periods at work, Sanita clogs are the most beneficial for both posture and comfort. 4. Sanita clogs are made with top-quality materials. Both the sole and the upper are formed from real, hand-tooled leather. The outer soles are made with skid-resistant polyurethane to help you maintain your footing in slippery conditions. On the inside, Sanita clogs come with a soft leather sock lining to help wick moisture and prevent foot odor. The high quality of the materials used in production of these shoes ensures that you don’t have to worry about smell, durability, or slippage. 5. 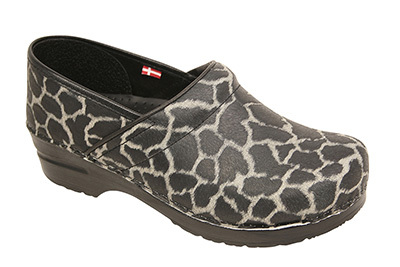 Sanita clogs provide a professional, high-end look and come in a variety of styles and leather finishes. Whether you choose a high-sheen patent finish, or the subtle gloss of Cabrio leather these clogs are visually attractive and astoundingly simple to care for – scuffs disappear easily with an soft cloth or oil sponge depending on the material. This entry was posted in Clogs and tagged Clinician Shoes, doctor shoes, nursing shoes on February 12, 2016 by Ariel Jacoby. If you are in the market for professional clogs, choosing the best place to shop requires some research as well. It’s hard to tell what kind of customer service you might experience if there’s a problem with your order or product itself. Price is not always a good indicator. However you can get the best of both worlds if you do a little research. We recommend to take a look at Medelita. It’s a company with a strong emphasis on customer satisfaction and best possible service. This entry was posted in Clogs, Professional Clogs and tagged Clogs, doctor shoes, medical clogs, medical shoes, men's clogs, physician clogs, professional clogs on October 31, 2012 by medelita. For physicians, we recommend medical clogs, Sanita brand in particular for it’s established reputation as a leader in manufacturing highest quality medical shoes for physicians, clinicians, surgeons and doctors in general. Sanita makes physician clogs with footbeds that provide soft cushioning and excellent arch support that’s latex-free, antimicrobial and odor-resistant. Many shoe styles are available in patent leather which makes caring for them a lot easier, especially in the hospital environment. Another advantage of the physician medical shoes made by Sanita is sturdiness allowing them to last for a very long time. “I’m on my feet all day lecturing and in lab. These shoes are safe for the lab setting and provide great support for being on my feet all day. They’ve required some breaking in. They’ve been causing some amount of pain at the heel and the top of the foot around the shoe opening. When I first got the shoes, I could barely get through the work day, and my feet were still sore the next day, so I couldn’t wear them 2 days in a row. They are now starting to loosen up, and I am experiencing much less discomfort. I’m confident that they will soon be fully conformed to my feet, and expect to have no discomfort at all. I also expect that the sturdiness of the shoe which led to the need to break them in will also mean they will last a very long time.” – Dr.J, Professor. This entry was posted in Clogs, Physician Clogs and tagged Clogs, doctor shoes, medical clogs, medical shoes, men's clogs, patent shoes, physician clogs, shoes on October 30, 2012 by medelita. 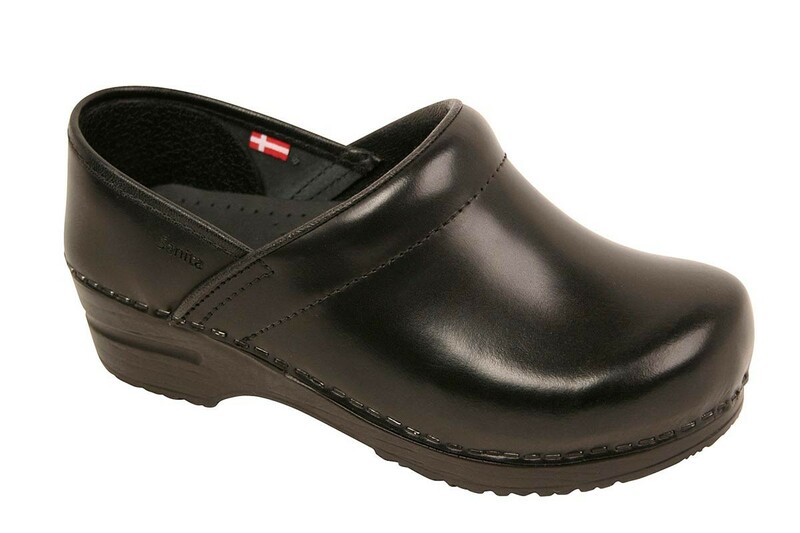 The number one manufacturer of Women’s Clogs is Sanita. If you are not familiar with this brand you owe it to yourself to at least give them a try. Sanita women’s clogs are available in so many different styles, designs, colors and prints that it’s hard to find a person who doesn’t like them. With the largest selections of sizes and width variations, you are going to be very comfortable wearing Sanita women’s medical shoes all day long. There’s one other company that we like a lot, it’s called Medelita, an online retailer and manufacturer of designer medical clothing. It turns out they are a huge fans of Sanita clogs as well. We have found a great selection of women’s medical shoes and nursing shoes on their marketplace. This entry was posted in Clogs, Women's Clogs and tagged brown clogs, Clogs, doctor shoes, medical clogs, medical shoes, nursing shoes, women's clogs on October 30, 2012 by medelita. Men’s clogs, especially black clogs, are an essential addition to a wardrobe of any medical professional. Physicians, Dentists and Nurses alike choose medical clogs over any other shoes for superior all-day comfort, shock absorbent insoles, non-marking, slip-resistant outsoles and best of all, great looks. 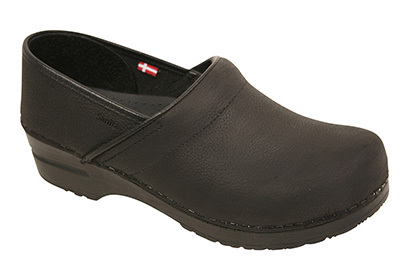 Men’s clogs can be worn with scrubs or a lab coat, it’s a perfect blend of style and comfort. Medical clogs have been proven to relieve stress associated with extended hours healthcare workers spend on their feet each work day. Nothing compares to quality construction and durability of these shoes. This entry was posted in Clogs, Men's Clogs and tagged black clogs, Clogs, doctor shoes, medical clogs, medical shoes, men's clogs, nursing shoes on October 30, 2012 by medelita.